This also means I only have to include one set with no stylization rather than make users pick between two different non-ideal stylizations, so this reduces the Flagfox installer/update file size as well. In usage in the address bar, flag icons are capped to a maximum width of 26px (+2px for a light 1px wide border, which I now need for flags with white fields) which is configurable via the hidden “extensions.flagfox.maxflagwidth” preference in about:config. For more info about advanced customization of the style, read here. This entry was posted in Flagfox and tagged Announcement, Development, Flag Icons. Bookmark the permalink. Very nice! The new flag set looks fantastic. Great work! I’m a big fan of Flagfox, and this new set of flags is awesome, better resolution and easy to recognize. Why new flags are not the same size? We have different sizes, some flag wider. Flag of Ukraine have yellow color wider than blue, how can it be? I have 1920×1080 23′ monitor and i see flag of US blurred like some other flags, this is bad need change flags to normal proportions with high dpi. I just checked the Ukraine flag, and I guess I could see how it might look like the yellow is wider, but that’s just the light grey border. It’s more noticeable next to the yellow. The actual blue and yellow parts are the exact same width. Bit of an optical effect from the border. The flags are not all the same size because flags are not all the same size. They have different aspect ratios. 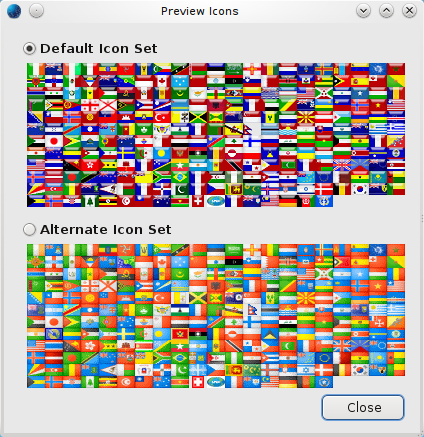 Often, sets of flag icons squish them all to be the same proportions, but they’re not. 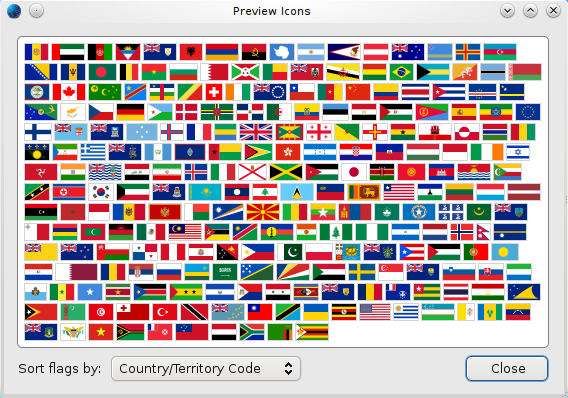 Open the Flagfox options (right-click on icon) then click the link up top to open the preview window. There’s a menu at the bottom to sort by various things. You can sort by aspect ratio. When showing flags in the address bar, wider flags are shown a little smaller so that they all take up a more comparable amount of area. Taller flags take up more vertical space and wider flags take up more horizontal space. You could set the maxwidth to 45 to disable this feature, but that’ll give you some much bigger flags.